In a fast paced society where time seems to fly right by, often times people turn to smoking as an outlet to their stress. The negative effects of smoking are pretty well known so I won’t go into the specific details of the negative effects of smoking. If you are a smoker who smokes frequently for long periods of time, it is almost inevitable that you will develop a serious disease at one point or another unless you are to make a drastic change and learn the best ways to quit smoking. The problem is this that when smokers finally decide to quit smoking, withdrawal symptoms appear that are tough to fight. This is the most challenging part of the quitting decision. It’s the time where you feel a tremendous urge to get even just one more smoke. It’s a craving that can and will drive many people to give in and go back to their old ways of smoking. Quitting is excruciatingly difficult, especially to those who have been smoking for quite a number of years. The sad reality is that the cravings can not be avoided. You have to face these cravings and find ways to deter your energy to other thing. Crucial tips to figure out the best ways to quit smoking include changing your mindset, and more importantly, RE-FOCUSING. No kidding, that’s the only word you must memorize when learning the best ways to quit smoking. However, the entire process of refocusing and understanding how to quit smoking isn’t as easy as pronouncing the word itself. It takes practice and constancy in doing these things. So, why re-focus? The answer is pretty simple. Addiction and addictive practices like smoking are actually just a matter of using your body’s energy. If you pour all your energy to your addictions, then you are going to be hooked to it. However, if you learn to re-channel your energy , you might just get away from your struggle to resist cravings and eventually, you will learn the best ways to quit smoking. So, instead of putting all your efforts to smoking, learn to use your energy on other things. 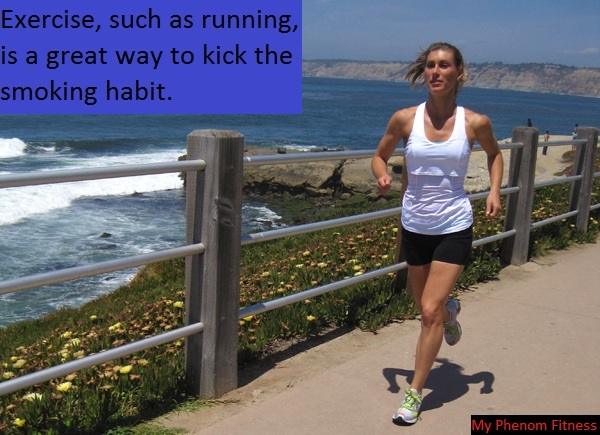 One of the best methods of re-focusing your energy from smoking is to exercise. The benefits of exercise go beyond the physical benefits. Exercise can actually suppress your cravings for smoking and is a great strategy when figuring out the best ways to quit smoking. Yes, not only will the benefits of exercise help your physical needs but your psychological aspect as well. According to an expert named Dr. Norman H. Edelman, the chief executive medical officer of the American Lung Association, it [exercise] helps in limiting weight gain and helps in dealing with cravings for cigarettes. Also, another study has found out that even modera te physical activities can reduce a person’s urge to smoke and guide them to understand the most effective and best ways to quit smoking. Smoking can be triggered by stress, and when you perform exercise, stress can be minimized and relieved, therefore freeing yourself from smoking cravings. There is no greater techniques for stress relief than the exercise itself. These are just a few of the benefits of exercise that you can attain from channeling your energy to exercise instead of your cravings for cigarettes and thus, you will be able to learn different ways to your cravings in check. Start by making a regular schedule for exercise. Set a certain time of the day or week for doing workouts. Make sure that it suits you well and no one will disturb you. Follow this schedule religiously until you get used to it. You don’t have to spend all day in the gym. Short, intense bouts of 30 to 45 minute long exercise sessions are more than enough in moving you through the process of distancing yourself from smoking while attaining key benefits of exercise. Lastly, stick to your schedule and be committed to it. Later you will realize that you have already forgotten where you have placed your cigarette packs. Utilize the benefits of exercise your way to stop addiction and live a more fruitful, fulfilling, and healthy life. 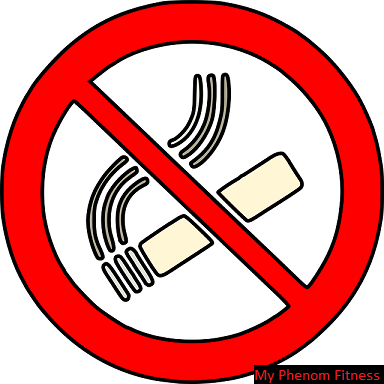 At this point, you are well on your way to figuring out the many strategies to put an end to your smoking habits! The benefits of exercise are amazing and if utilized as a proper anti-smoking outlet, can be a big answer in your quest to figuring out the best ways to quit smoking. It will be a difficult journey, but in the end it will be worth it. The author from http://vaporblogger.com/ is a smoking survivor. She shares all her wisdom about health, addiction and lifestyle which she has learned through books and experience. For more information about gadgets to quit your smoking addiction, feel free to visit http://vaporblogger.com/south-beach-smoke-review/.